Adult dogs need around 800 to 1,000 mg of calcium per pound of food fed. They also require the calcium to be supplied in a proper proportion to phosphorus. The ideal calcium: phosphorus ratio in the canine diet is between 1:1 and 2:1. Meat contains a lot of phosphorus, so the more meat a diet contains, the more calcium will be required to reach the correct calcium:phosphorus ratio. Adding 800 to 1,000 mg of calcium will provide the correct calcium:phosphorus ratio even for a high-meat diet, unless you use a calcium supplement that also contains phosphorus. In that case, moderately higher amounts of calcium may be needed to balance out the additional phosphorus contained in the supplement. Ground eggshell can be used as a calcium supplement. Rinse eggshells and dry them on a counter overnight, or in the oven, then grind them in a clean coffee grinder. 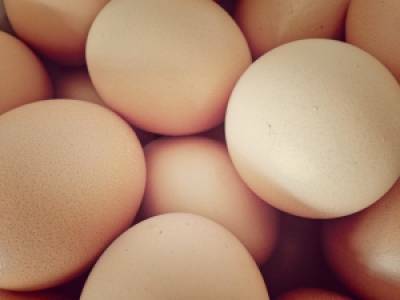 One large eggshell provides one teaspoon of ground eggshell, which contains 2,000 mg of calcium, so add ½ teaspoon ground eggshell per pound of food fed. Don’t use eggshells that haven’t been ground to powder, as they may not be absorbed as well.